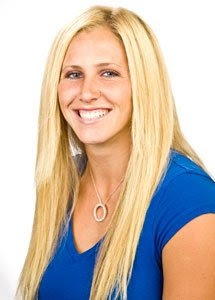 Check out the Golfweek blog of Lance Ringler, the guru of college golf, and you'll find a nice post about Jenteal Jackson of Brigham Young University. Jackson, Ringler reports, is a five-time Utah Junior State Amateur champion who played her first collegiate tournament this week. What's the big deal about that? She had to get permission from the BYU basketball coach to make the golf trip. Because Jackson was also the 2008 Utah high school basketball player of the year, and is a major player for the BYU women's hoops team.